Catching the early warming sun in Maine. Thanks both for taking a look. I think this was close enough. They don't bother me as long as they don't rattle. Nice catch, Jim. Looks like a Garter Snake. I grew up catching those things and they have a nasty temperment until they are tamed. 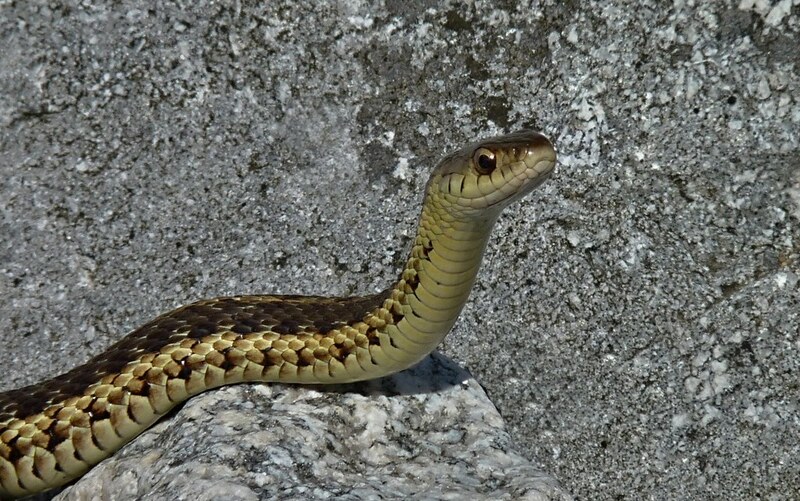 By the way, I got curious, and it seems Maine has no native venemous snakes. 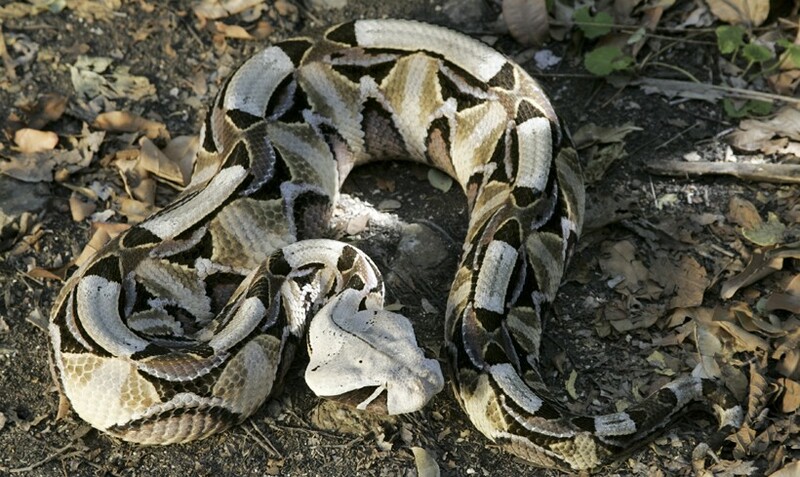 Except one Gaboon Viper, about 5 feet long, that someone had released during winter and it froze to death. Hi Robert. Know to stay away from that shape of head. Is King (hope that's right), still around? Hi Jim. Yes King is still with me. He turned ten August 5th. Put him on a diet, and now he weighs 102. Trying to get him down to 190 without making him mad. 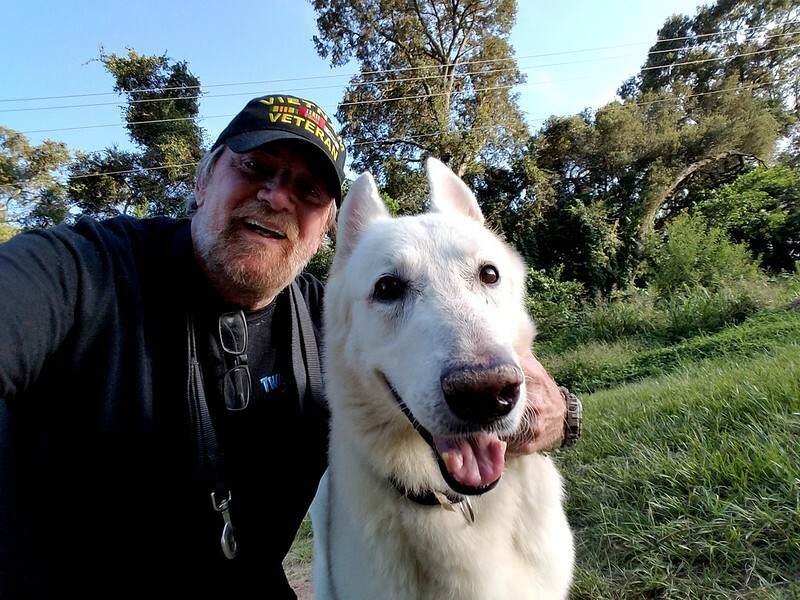 Here's a recent selfie with King, taken with my phone.